Showcase your flair for fashion by wearing this analogue watch, which will fetch you compliments for your sense of style. Featuring a round dial, it also flaunts stylish Arabic and stick time markers, which will perfectly complement your casual attire. 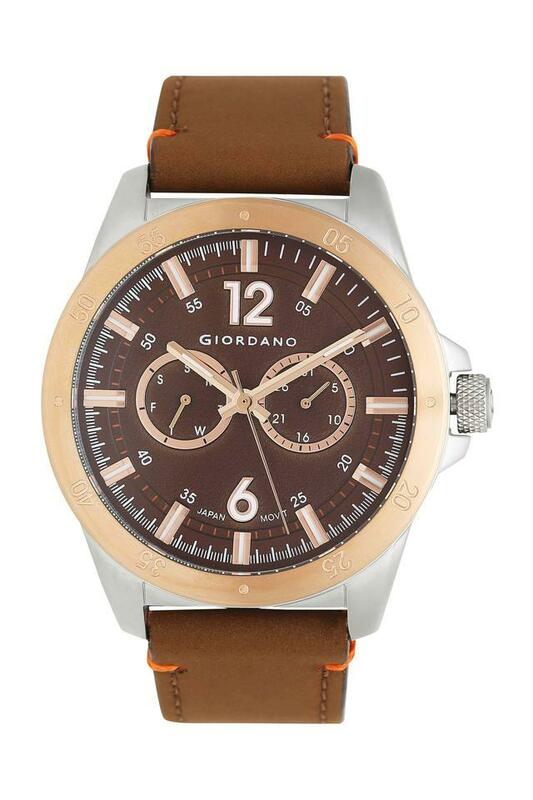 Leave a lasting impression by wearing this watch brought to you by Giordano.